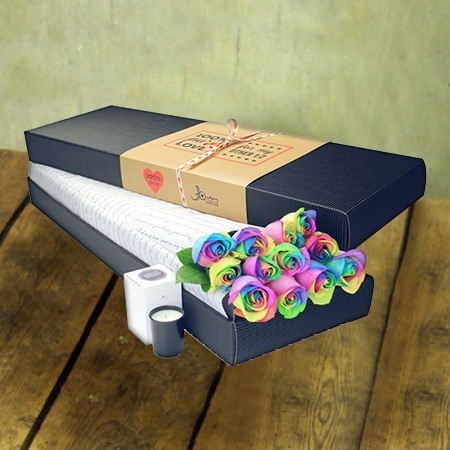 These boxed long stem roses are super fun and guaranteed to deliver squeals of delight from your nearest and dearest. 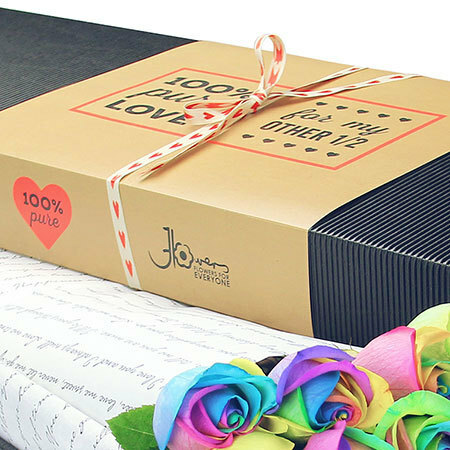 Dyed in a myriad of rainbow-esque colours, these beautiful roses come delicately nestled in our signature lyrical print tissue paper (wrapped in the words of Elvis Presley`s Love Me Tender, very Valentines appropriate!). Plus you will also receive a FREE fragrant Ecoya candle worth $19.95 with your fabulous rainbow roses, just to add an extra touch of romance. Our roses, free Ecoya candle, and unique packaging are exclusive to flower delivery in the SYDNEY MELBOURNE & PERTH Metro Region ONLY. 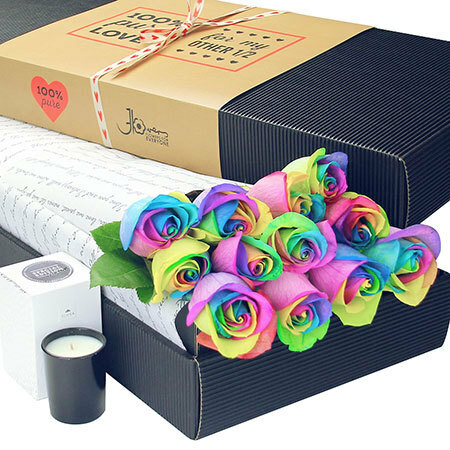 Order your long stem rainbow roses now via this online florist store, email our fabulous love cupid floral consultants at sales@flowersforeveryone.com.au or give us a call on 1800 66 66 46. 2017-04-01 Service rating : the flowers looked beautiful and amazing. all the children at work loved the colours.